Say hello to Cozmo, a gifted little guy with a mind of his own. Anki’s Cozmo is a cute little AI robot like you’ve only seen in the movies. 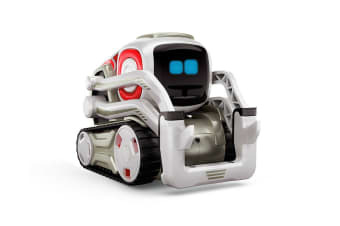 You can program Cozmo to do different tasks, like pass the butter! 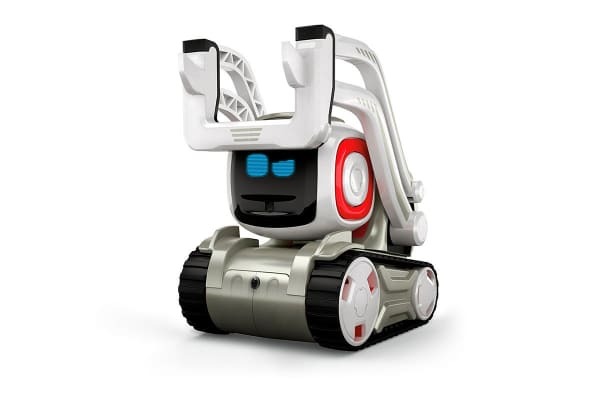 Anki Cozmo doesn’t just move; he gets curious & explores. He doesn’t just learn; he plots & plans. He doesn’t just see you, he gets to know you. So call him self-aware, call him almost human. Just don’t call him a toy. He’s a supercomputer on treads. And he’s fun on a whole new level. Welcome to the future, Anki’s Cozmo has a one-of-a-kind personality that evolves the more you hang out. He’ll nudge you to play and keep you constantly surprised. Cozmo’s your accomplice in a crazy amount of fun. Plus, Cozmo is an animal lover! He can recognise and get to know your pets. Cozmo is way easier than you’d think. No parts to put together. He’s ready to go out of the box. All you’ll need is a compatible iOS or Android device. And things like safety, security, and durability have all been rigorously tested. Cozmo is a game playing machine who loves to win. Whether he’s playing with his Power Cubes or challenging you games of speed and skill, like Quick Tap and Keepaway, or Memory Match, he’s always ready for action. 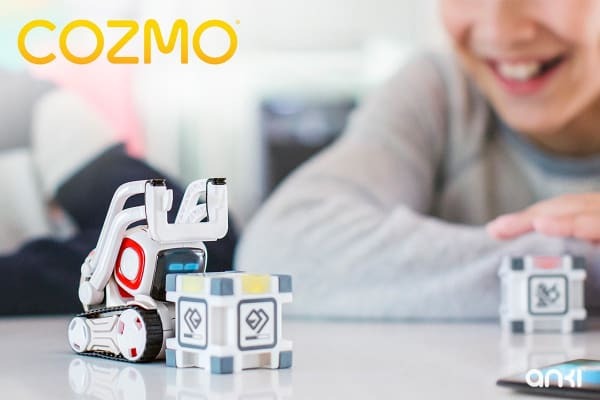 Cozmo comes with his own apps – activities that keep you engaged with Cozmo. Like Core Upgrades, playing with Cozmo unlocks more games and activities. Within the Cozmo app are regular software updates, which include new activities and behaviours to provide never-ending play!